What are nuclear simulation services? The development of replica facility simulators, also known as full scope simulators, which simulate plant processes and recreate the main control room to scale, as well as the emergency control room. Replica or full scope simulators are used for operator training, in licensing processes and as a tool to provide support via the simulation of plant engineering. The development of full scope or partial graphic or classroom simulators for all needs (training, operation, engineering, emergency support) where the operational interface is a graphic environment and the real environment does not need to be replicated. The development of generic simulators for engineering research and support. The development of virtual reality 3D simulators, for local operations, where the work must be carefully planned with the aim of reducing the dose rate of the plant personnel. The update, upgrade and maintenance of Tecnatom and third-party simulators. 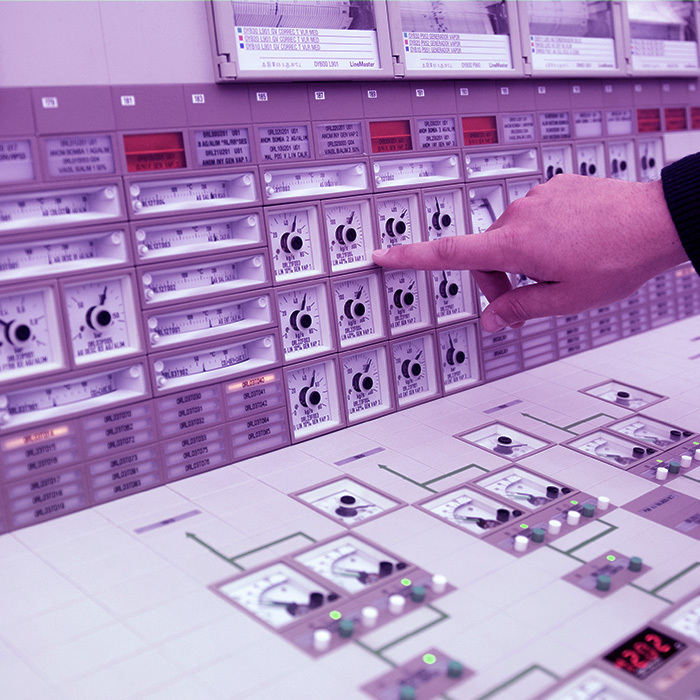 Tecnatom has over 60 years of extensive experience in the training of nuclear plant operation personnel. This has allowed us to gain vast knowledge on nuclear plant processes and operations. Our understanding of these processes allows us to undertake highly realistic simulations, in addition to our vast experience in simulation technology with best-estimate or conventional third-party codes such as RELAP5, TRAC_RT, MAAP, NEMO, TRACE, etc. which facilitates us with the update and upgrade of simulators developed by or with the tools of third parties. Additionally, at Tecnatom we develop our own simulation tools, (TEAM_SUITE), as well as our own communications system, Software/Hardware (TESIS+), and our own strict configuration control tool (CMS/SICOSIS). Our simulators strictly comply with the requirements stated by the ANSI 3.5 standards, as well as with the regulation guidelines of NRC 1.149, which allows us to develop simulators on a global scale with multiple nuclear reactor technologies. We have also supplied simulators to PWR (Pressurised Water Reactor), BWR (Boiling Water Reactor), PHWR (Pressurised Heavy Water Reactor) plants etc. 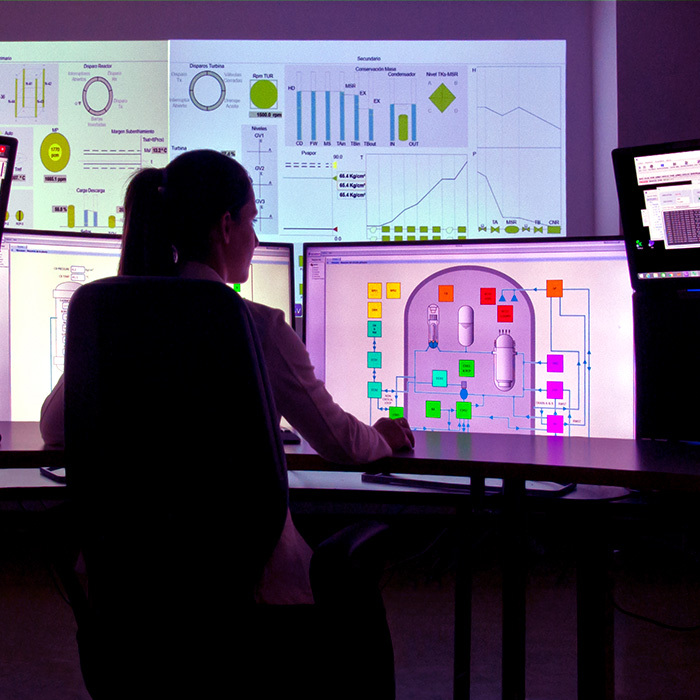 Our extensive experience in nuclear operation and regulation, process simulation, operator and assistant training and retraining, human factors engineering, and I&C engineering make Tecnatom the best solution for the comprehensive development of nuclear simulators and their maintenance, including their control rooms. We offer a wide, autonomous and global knowledge of processes, contributing custom-designed simulation solutions and technologies which are adapted to your needs and that meet all the strict regulated standards of the nuclear industry while addressing the needs of our clients and the experience of the users of our products. Through the update, upgrade and maintenance of simulators, we are capable of adapting to any known simulation technology, and any nuclear reactor in any country in the world.